Five years ago (already???? 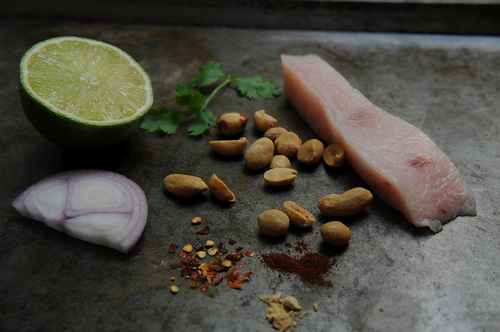 ), I won a ‘Your Best Recipe with Swordfish’ contest on Food52.com. Subsequently featured on a number of sites, from Bon Appetit, Wholefoods to Yahoo Canada, which is really the same as Yahoo :|. Suya spice. Fish? Works a treat and all with homemade peanut butter. Anyone, yes you…can do it. You get your stuff together. 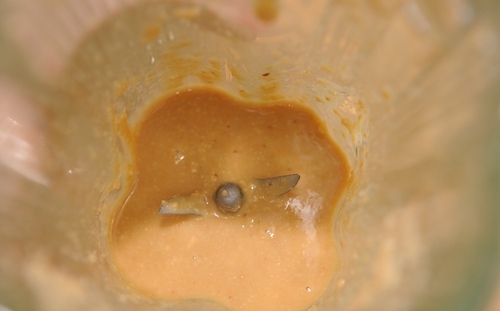 You whip up some peanut butter in your blender or food processor. 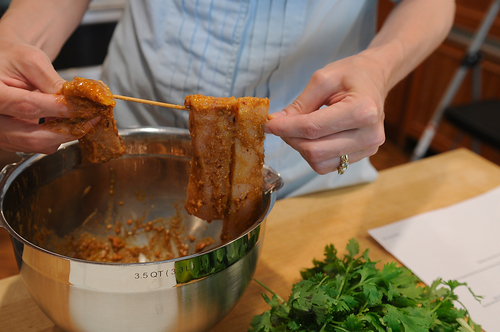 You spice it and then dunk strips of swordfish in it – catfish steaks, chunks, fillets would work well too… just saying. From Food52’s Editors: Swordfish’s meaty taste and texture take to grilling beautifully. 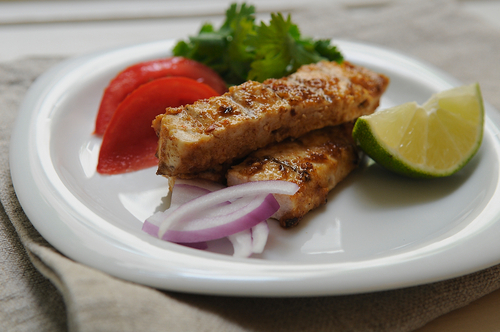 Kitchen Butterfly’s peanut marinade enhances the partnership, cloaking each strip of fish in a spicy, tangy, mildly sweet sauce that caramelizes gently on the grill, lending a mild smokiness. Using homemade peanut butter is a nice touch, and a spritz of fresh lime juice before eating is a must. 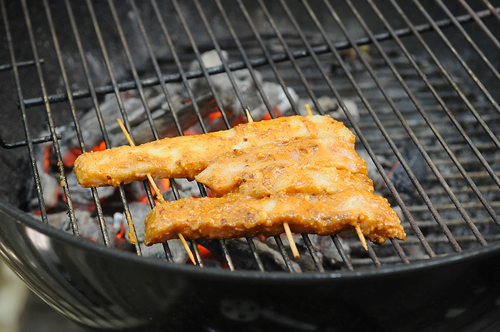 So there you have it…suya many ways. In a blender or food processor, grind the peanuts till they are crushed. The ground nuts will stick to the sides of the mixing container, so using a spatula, loosen bits from the bottom and round the sides. Then add oil, drizzling in along with a pinch of salt, blending till you get a 'thick cream' consistency. Use in recipe. 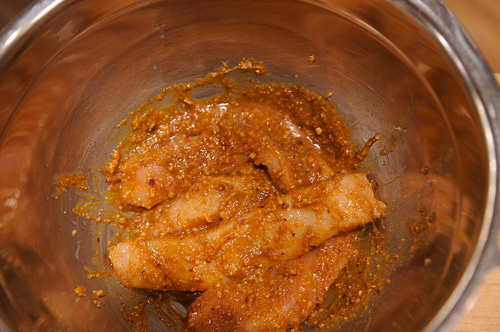 Make a spiced butter by combining peanut butter, paprika, chili pepper, salt, ground ginger and lime juice. You could make this in the oven...using the cold smoking trick while it marinades, and then finishing it off at 200 degrees C.